Sunnysyrup Food Co., Ltd. is one of the renowned names involved in manufacturer supplier and exporter a comprehensive range of Passion Fruit Jam factory in Taiwan, which is engineered from the best quality raw material and are acknowledged for their sturdy construction and durable service life. Known for their accurate measurements and easy handling, we ensure to test the product on well-defined quality parameters, so that these conform to set industry norms. We are offering our clients' at the most affordable prices. If you are interested in any styles of our products, please feel free to contact us. thus made it the most popular fruit drinks. This tastes a little sour and nostly sweet, it's suggested to go with other fruit slices. A hot pot of passion fruit tea could lighten up the whole afternoon. 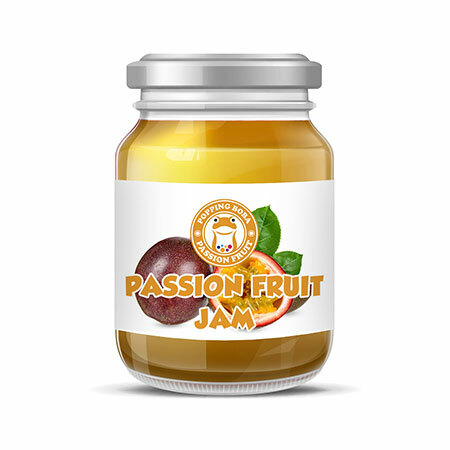 Passion Fruit Jam contains real passion fruit seeds, with strong fruit fragnance and highly condensed, it suitable for ice series or to go with passion fruit to make drinks with seeds.